Tuesday is red day on this week of Fall Colors and I just had to splash this image of inspiration from Resurrection Fern's instagram feed. 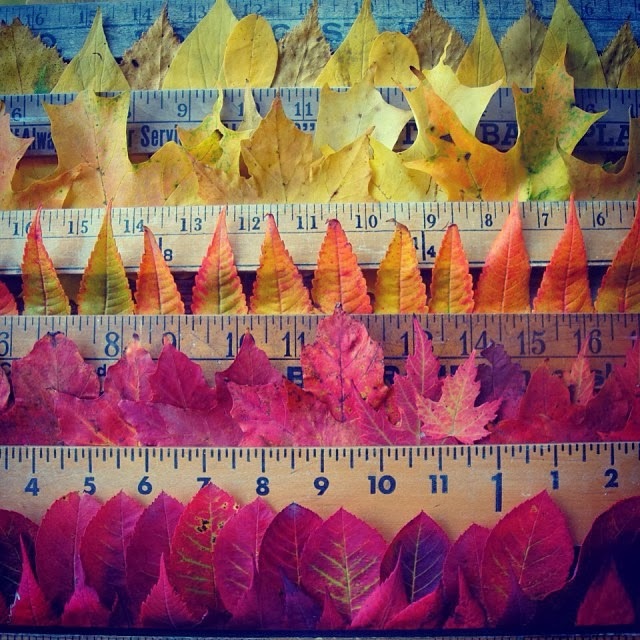 It's from a project she did titled the measure of autumn from a #tbt post she uploaded recently. Aren't these colours amazing? Looking forward to seeing everyone's reds! If you're just joining in here's the details. Wait until 4pm (Pacific time) to upload the next day's color to ensure for a beautiful #fallcolors2013 feed on instagram! I'll be back later today with a summer of today's reds! that image is amazing. beautiful colors! and such a fun little project to participate in. Lovely surprise seeing this here today :) always enjoy your colour weeks . Margie - i love this photo! Oh thank you so much for the feature here too and also for pinning a post of mine today! I am so happy I discovered your color week, it's so much fun! Yay!